To go along with Valentines Day we'll be seeing some new floral crops this month. They'll also all come with their own collections each containing a petal, a vase, a thorn, a bud and a bunch of a dozen roses for each colour. You've asked for it, and Frontierville have provided! 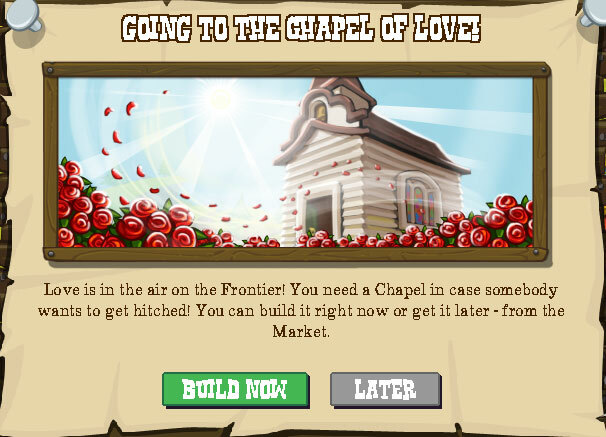 For the Chapel Missions go HERE or for details on the new crops that the Chapel brings (Roses) go HERE. You need to have passed the Learning mission (or can unlock it for 22 Horseshoes) and then it'll cost 500 coins and 100 wood, giving you 75 XP for placing it. Once placed it takes 10 whacks to complete the frame and then you need 10 each of it's own proprietary building materials, in the same vein as the recent buildings have. 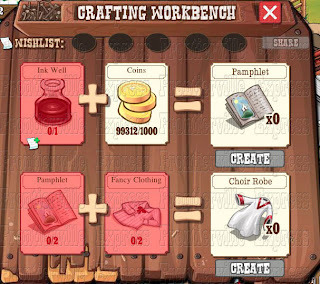 Once built it's customisable and it comes with it's own collection which drops when you're building it and from the Daily Bonus which appears to break from the norm and give Reputation Hearts, normally only obtainable from neighbours. Inside you'll be able to craft Pamphlets and Choir Robes, both of which you'll require for the series of Chapel Missions. New Collections - Ice and Spring! To go along with the Groundhog Day Missions we've also got two new collections! Collected by building the Groundhog Trap and clobbering or tending the Spring Groundhog Fred. The reward is an Accelerate Trees Boost and 500 XP. Collected by building the Groundhog Trap and clobbering or tending the Winter Groundhog Phil. The reward is a Frozen Chicken. A MASSIVE snow fort (it's called the Large Snow Fort and by golly it is) and a Ski Rack. Interestingly both seem to be interactive as there are also options to request Snowballs for the fort and Trail Markers for the Ski Rack... More when we find it, it appears right now the usual decor options are the only ones available so it might be something pulled from the final version or to be brought in later. Considering people are already complaining about snowy trees as February is coming upon us it does seem strange to have two such wintery decorations coming now, but who are we to ask? The Fort and Ski Rack both cost 200 Gold. The latest building to be revealed on the Frontier is the Groundhog Trap, copying previous new buildings this will require 5 each of it's own special building materials (not available from Care Packages). It then can be upgraded once you have recruited 6 "engineers" which are friends in the same way as crewing the Barber Shop. The mechanics of the trap is this: It'll catch everyone within a small radius (larger when upgraded) and is "set" using up one energy each time it's used and you can place multiples to cover all your veggie plots! 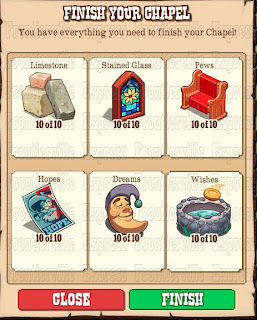 There's also a rumour that you, or if you're feeling generous a friend, might get a little furry bonus sometimes when trapping. They're helped to be lured out by collecting, during the missions, these cute little Groundhog decoys... Anyone else thinking of the old cartoons with Bugs Bunny in drag? 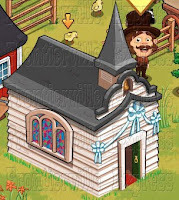 New Building - The Barber Shop! New Building - The Trading Post!